“This is — to be kind — a train wreck,” said Rep. Phil Roe, R-Tenn., the chairman of the House Committee on Veterans Affairs. Shelley Roundtree departed the U.S. Army in 2013 after seeing friends and fellow soldiers die in combat during his tour in Afghanistan. He was committed to transitioning to civilian life, and one of his first steps was to enroll in college with tuition and housing benefits he’d earned under the GI Bill. Roundtree, 29, began studying marketing at Berkeley College in Midtown Manhattan. He dreams of working in the fashion industry, and he’s close to graduating — but now there’s a serious obstacle. Without the GI Bill’s housing stipend, Roundtree was kicked out of his apartment and is now living on his sister’s couch, miles from school, where he feels like a burden on his family. The new living situation required him to move all his belongings into a storage container, which he can no longer afford. Now all of his possessions are in danger of being auctioned off by the storage facility. Roundtree said because of his extremely strained finances, he is forced to choose between spending money on public transportation to get to his marketing classes or buying food — not both. At the end of the day, the veteran said he often makes himself go to sleep hungry. There are many veterans, like Roundtree, across the country who are still waiting for VA to catch up with a backlog created after President Donald Trump signed the Forever GI Bill in 2017. 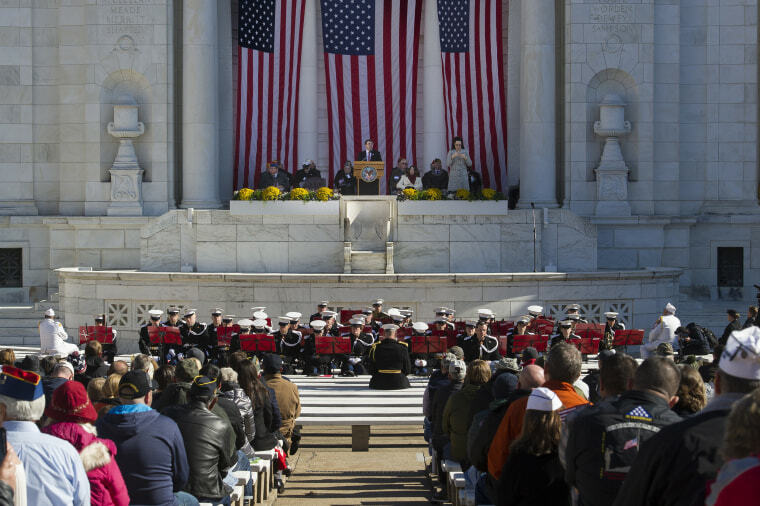 The landmark piece of legislation greatly expanded benefits for veterans and their families, but it did not upgrade the VA’s technical capabilities to account for those changes. Issues arose when VA attempted to stress-test their antiquated system, and a contract dispute over the new changes, meant VA waited until July 16 to tell schools to begin enrolling students, according to veteran advocacy groups. Many colleges and universities waited, however, because the VA told them they would need to re-enter their student veterans’ certifying information either way. 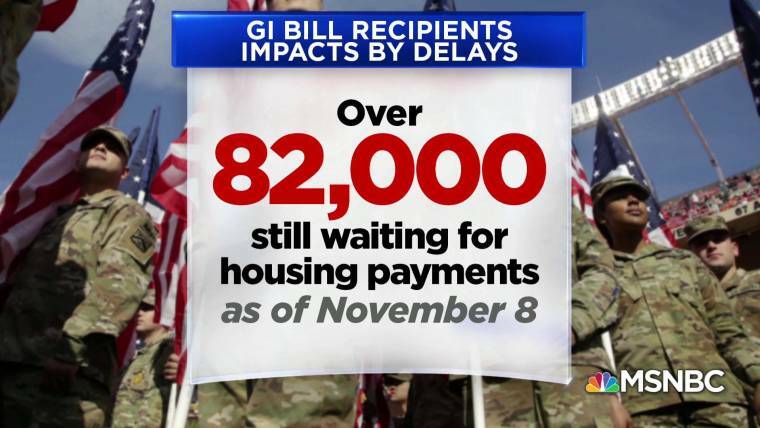 A VA spokesperson told NBC News by email that “further system changes and modifications are being made and testing is ongoing on the IT solution” to fix the delay in monthly stipend payments. While Committee staff never witnessed a “blue screen of death,” they did witness the system crash no fewer than five times in a ten minute period. In a Nov. 5 letter to Secretary of Veterans Affairs Robert Wilkie, Roe said that employees at the processing center told the group that IT systems at the office froze and crashed so often, tasks that once took five minutes now required 45 minutes. At the July 17, 2017, hearing in the House Committee on Veterans’ Affairs — before the bill was passed into law — Deputy Under Secretary for Economic Opportunity Curtis Coy highlighted this as his core worry in response to one of the few questions asked during the hearing. After Coy retired this year, the VA cut his position and the Office of Economic Opportunity. 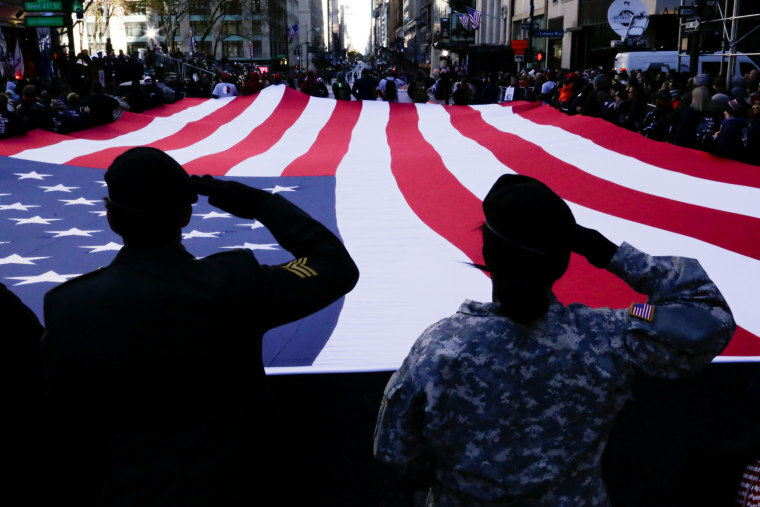 Multiple Veteran Service Organizations said the loss of this role, as well as the office, meant there was no one left at the VA to communicate to veterans or to lobby higher-ups about the GI Bill issues. Half expect the right wing will find a way to blame Hillary. You may know this already, but the Trump administration is destroying the VA department, just as they destroy the EPA and Dept of Education and the others. Privatizing everything. There will be no government services if they succeed.